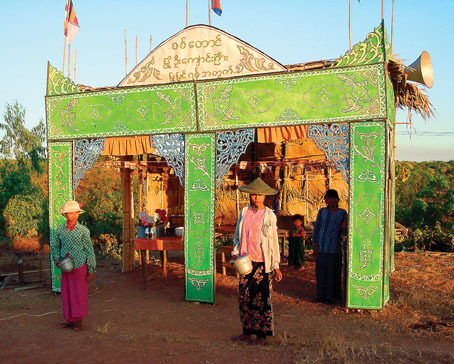 Traveling to the Kyaiktyio Pagoda is via Bago and into the blue mountain ranges of Mon State on the border to Thailand. This is about 170 kilometers by rail or road from Yangon, there is also a bus. Like to have a Buddha decoration around you try this Buddha curtain a very interesting and exotic wall decoration. It nicely fits the Buddha theme and reminds to the Kyaiktyio Pagoda. It is built on a gilded boulder with 25 meters circumference. Legend tells the whole is balanced in this precarious position by an original hair from the Buddha. 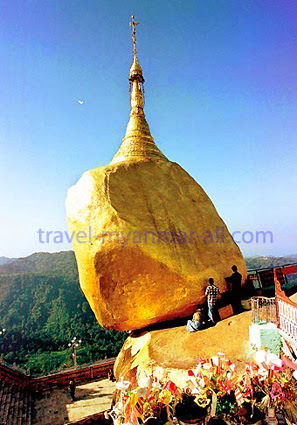 The rather, around 7 meters high structure small 18-foot-high Kyaiktiyo or Golden Rock Pagoda is located near the Thai border town of Mae Sot on an elevation of 1100 meters above sea level. 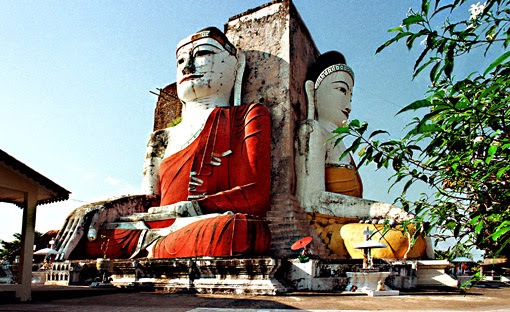 On the first leg to Bago are already striking sightseeing spots one is the Kyaikpun Pagoda with the four Buddhas. plantings. From here it’s another 12 km ascend up to the mountain top. Since the road is very narrow always one batch of vehicles move up and wait after the other drive down. This is one of the top pilgrim targets in the country and it is really amazing what’s up here. Theoretically, his could be done by a day trip from Yangon but it is better to stay overnight because of the road condition it needs to have some spare time. This is also a drive through the Irrawaddy Delta. The ultimate kick for an outdoor adventure probably would be walking up to the top but it really needs a good physical condition to do that. Actually, the main problem is the heat and snakes both are of high amount. Most people do the trail in the loading bay of a small truck and the last 1.5 km must be done on foot or maybe not. Bamboo sedans balanced on the shoulder of 4 guys would be an alternative; this is very popular by “Fatty Bum Bum Chinese”. Legend tells that in the 11th century King Tissa of Thaton got a strand of the Buddha’s hair from an hermit on condition that to enshrined them in a pagoda built on a boulder looking somehow similar to the hermit’s head. Since nobody found such a place they prayed to Thagyamin the king of the Nats and help came instantly. 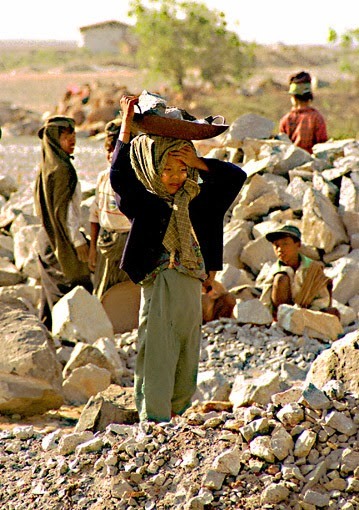 They found a suitable boulder at the bottom of the Andaman Sea and lifted it up to the top of the mountain.